PHP is the most popular programming language for websites. This is a server side scripting language. There are a lots of reason to use this language for your website. This is easy to learn and can be use with HTML in the same file. PHP also can connect with MYSQL database. The main purpose of PHP is to run a database driven website which use MYSQL and PHPMYADMIN. A web host, or web hosting service provider, is a business that provides the technologies and services needed for the website or webpage to be viewed in the Internet. In this post I am going to tell you what are some best web hosting providers to host your PHP based website. Today almost all web hosting providers allow you to host your PHP driven website. But many newbies don’t know which one they should choose and which one are better. 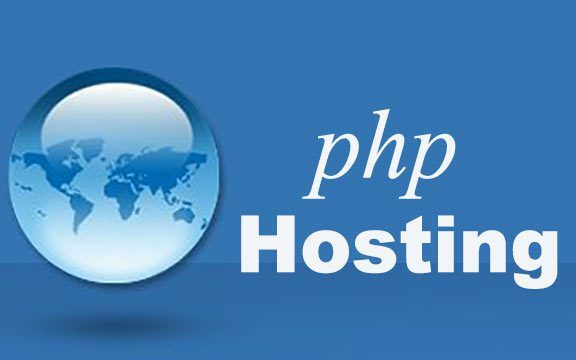 So here in this post I am going to tell you which are the best and reliable hosting providers for your PHP based website. DreamHost is a award winning web hosting company which provide shared hosting, VPS hosting, dedicated server hosting and cloud servers. DreamHost is officially recommended by WordPress. You can also choose this hosting provider for your PHP and MySQL based database driven website. Bluehost is a web hosting provider trusted from the year 1998 and still in the business as one of the best web hosting provider. With time they has improved their technology. Currently millions of websites are running on BlueHost and even you can also go with it to run your PHP website. Siteground is also a nice hosting provider with data center located in three continents. You can choose the closest data center for fastest loading speed. Siteground has fasted website speed with great uptime. According to them they can provide your site 99.99% uptime. Files and databases on all of our shared hosting plans are stored on cutting-edge Solid State Drive technology. SSDs provide for a 1000x increase in input/output operations as compared to regular drives. Hostgator is a popular web hosting providers. They also providing powerful hosting and amazing site loading speed for PHP base websites. If you are thinking to host your PHP site on HostGator then it would be really a good idea. There are several more good quality of web hosting providers where you can run your PHP website. In this post I have listed the four which I think best. And one thing I want to say that I have already used all these hosting providers and some more for test. In all these types of hosting I have installed WordPress. If you have any experience with any other hosting providers then you can also mention it in the comment section. today i learn a valuable information about web-hosting from this post. this article help me to know full description about web-hosting knowledge . the writer give these tips beautifully that help me understand full details about web hosting. end of all give you a lot of thanks fore sheering this information..